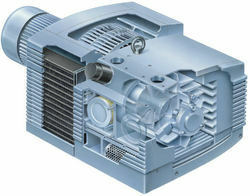 We offer wide range of Becker Rotary Vane 100% Oil Free Compressors. Supplying and distributing of supreme quality Becker Compressors DT 4.10 has helped us achieve a very high level of trust in the market. These compressors make use of a pressure switch to stop the motor when tank pressure reaches a preset limit. The tank has a safety valve that opens if the pressure switch malfunctions. These are made available to the customer at extremely affordable rates and as per the set industry standards. Our company is one of the renowned distributors and suppliers of Becker Compressors DT 4.25. The piston leans from side to side as the eccentric journal on the shaft moves it up and down. A seal around the piston maintains contact with the cylinder walls and prevents air leakage. This air compressor has got a low vibration motor speed enabling it to deliver noiseless performance. These are made available to the customer at extremely affordable rates and as per the set industry standards. We are a leading supplier and distributor for Becker Compressors DT 4.40 in the market at present. It doesn't need its own bulky motor. Instead, a single motor on the compressor converts the electrical energy into kinetic energy. 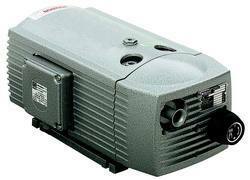 This makes for light, compact, easy-to-handle compressor that runs quietly and has fewer parts that wear out. These are made available to the customer at extremely affordable rates and as per the set industry standards. Looking for Becker Rotary Vane 100% Oil Free Compressors ?